Picked up this lovely piece of meat last weekend. Cooking it tomorrow.. Aging in the cryo-vac, waiting to be eaten! 12oz, dry aged, American Wagyu. 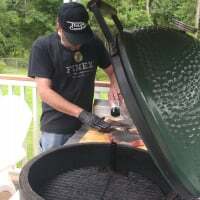 Looks awesome...Whats your plan on cooking that baby..
Not sure of the game-plan this week. Been using cast iron frequently. I can either use the Egg, with the grate in the lower position. Cook and finish on the grill. I haven't cooked a steak on top of hot coals in a while; and may consider a quick sear on the coals, and finish on a raised grate. As it stands right now, I'm going to sear over a hot fire, and finish in a medium-hot cast iron skillet. Add some porcini butter, and baste the steak in the "steak gravy" + porcinni butter. Pictures and maybe a short video to follow! Beautiful chunk-o-cow - just remember that dry aged beef cooks faster than "grocery store red" meat so cook to temperature and not to time. Yes sir. I try and buy dry aged when and where possible. I love the flavor(s)!! Local butcher. My job on Saturdays. I too love dry aged beef - some say it is an acquired tasted, but I say once acquired you'll never appreciate non-aged! BTW have you ever tried to dry age your own? It is easier than you might think! Where are you located? Curious as I'm in Tampa area, and your handle has FL in it. @FLbobecu Just curious what butcher shop. We live over on the Space Coast and I cannot find dry aged beef anywhere over here. Pettys Meats in Longwood. Or talk with Joey @ Fairway Packing out of Detroit. My order was 5-18oz 50-day dry aged Wagyu strips. I have tried dry aging my own USDA Prime whole loins from Costco. The results weren't quite what I was expecting. I tried semi-commando with cheese-cloth and netting, I've tried with the DA-bags, and in the end I just leave it to the professionals. When buying a whole loin, I am unable to really see the marbling within, and since I like to see what I am buying, I tend to either get it from reputable dry aging sources, or from work. Do not use cheesecloth. Cheesecloth does nothing, and was never used in the aging of meat. It's a useless step added by self-proclaimed foodie internet bloggers who have no idea how meat is aged, or why. They can't abide the thought of unwrapped meat in their refrigerator, and so decide that draping it in something will magically protect it. Then they get nervous about covering it too much, so pick something which has a million holes. Or worse, think that towels will help wick away moisture. It's foolish, really. Absolutely no logic involved in their thought process. I will never understand why people will over complicate things which are at their heart incredibly simple. Bags, nets, towels. None of them needed to age beef. But that doesn't stop folks from adding complications which do not add value. This isn't directed at you. It's just that the ludicrous methods, which seem to abound on the internet for aging, have almost nothing to do with the way meat is aged. And we see them repeated over and over. It's like people saying "I really love beer, I'll make some at home. But I'm going to use totally different methods and ingredients" And then they wonder why it isn't the same. Yeah.. I figured that out after being a member here, and REALLY becoming interested in aged beef. Once I came here, I learned about the bags, which had decent results, but I'd rather have a freezer full of steaks I can eat now, instead of a fridge with a 15lb+ piece of meat that I can't really eat for ~2 months.. Nothing against those who do age at home. I wish I could really get a proper set up (humidity/temp) but the spare fridge I have just doesn't quite cut it. Adequate I suppose. I have also never paid "more" for longer aged meat. For instance I pay the same for 40, 50, 60 & 70-day dry aged steaks. I'm happy with the quality I can get. If I weren't, I'd definitely have more invested to age whole loins properly. @FLbobecu thanks for the info. Just to clarify, does Petty's sell dry aged steaks also? Thanks. Going to go check out that website you gave me. Yes. We sell dry aged beef. The steak pictured in the original post is from work. We have some dry aged Wagyu and some nice Prime bone in strips as well. If I worked at a place that sells dry aged beef, I wouldn't bother doing it myself either. Thanks @FLbobecu . I might make the trip over there in the next couple of weeks to get some. I am still looking for the same taste I had at Del Monico's a few years ago in Las Vegas. Best piece of meat I had ever eaten. Unbelievable nutty/buttery taste. I suppose maybe I can make the trip over to the coast one weekend, and pay you a visit and bring a few "goodies" with me. Getting ready for the evening. @FLbobecu‌ Looks like that will be fan-freaking-tastic! Does your shop have online ordering? If you can get one untrimmed, I'd beg you to try it. If you like the crisp crust of a finely done roast beef, the aged rind is even better by a substantial amount. You remind me of someone that I used to know. I can ship things through my regular M-F job. At that job, we ship the most exotic meats all over the county. However they do not offer dry aged beef. If you're interested, I suppose I can ship a few steaks to you. 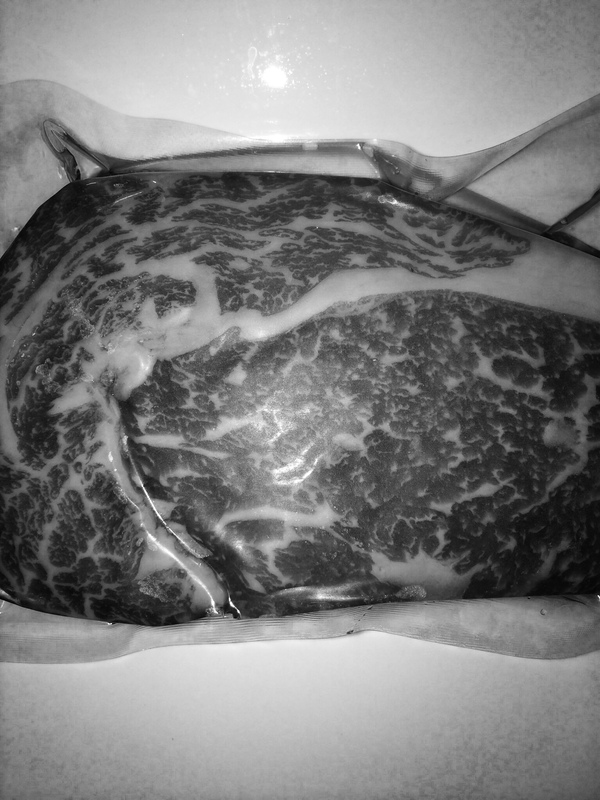 The dry aged Wagyu starts at $50/lb. 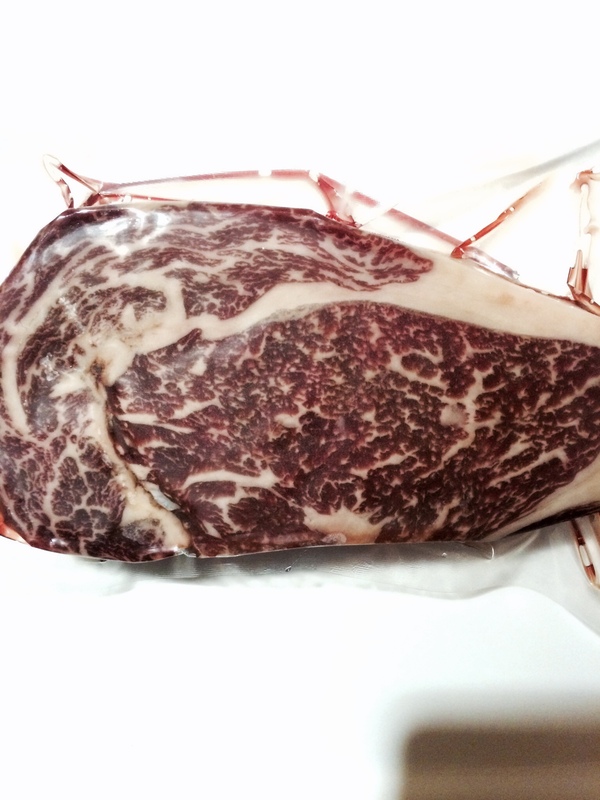 Dry aged USDA Prime (at our store) is $32.99/lb-$37.99/lb. The piece pictured only set me back about $26 after discount. If you DO order from them, or work out an arrangement with me, please share your experience! I have never met you that I know.